It turns out the Toronto Blue Jays did in fact get that much-needed starting pitcher after all. His name is Francisco Liriano. It’s official; the Blue Jays have acquired Francisco Liriano plus prospects from the Pittsburgh Pirates in exchange for Drew Hutchison. This move really took a lot of people by surprise because Francisco Liriano wasn’t even rumoured to be one of the pitchers available at the trade deadline; and yet the Blue Jays pulled an under-the-radar move by snagging the veteran lefty from Pittsburgh for Drew Hutchison. Liriano may not be having the best season of his career (a National League leading 69 walks and his ERA is over two runs higher than his three previous seasons in Pittsburgh, but the acquisition of Liriano gives the Blue Jays another starter’s spot and officially allows the Blue Jays to move Aaron Sanchez out of the starting rotation. This might be the new M.O. of the Mark Shapiro and Ross Atkins regime, but it’s another value move by the Blue Jays. They take on a little bit of salary, while at the same time, acquired a pair of prospects from the Pirates in the form of Reese McGuire and Harold Ramirez. The Blue Jays are on the hook for the remainder of Liriano’s $13.666 million dollar salary this year, in addition to the same amount in 2017 as well. But that’s a fairly modest amount for a starting pitcher, let alone a starter with the upside that Liriano has. While the move hasn’t been announced yet, it’s Francisco Liriano taking over Aaron Sanchez’ spot in the rotation. But this move allowed the Blue Jays to do two things; it gave them a starting pitcher in Liriano, but it also allowed them to acquire a high-leverage reliever in Aaron Sanchez. Not only was this trade a win-now move for the Blue Jays, it also netted them two of the Pirates Top 10 prospects. It may not be viewed this way by the fans, but the real coup in this deal was the prospects involved in this deal; regardless of how much money was left on Liriano’s deal. You won’t mind many crying foul over trading Drew Hutchison; he had his moments of potential with the Blue Jays, but ultimately just couldn’t rekindle some of that magic he briefly showed during the second half of the 2014 season. For whatever reason, the Pittsburgh Pirates really coveted Drew Hutchison and were willing to give up three players in total to bring him to Pittsburgh. 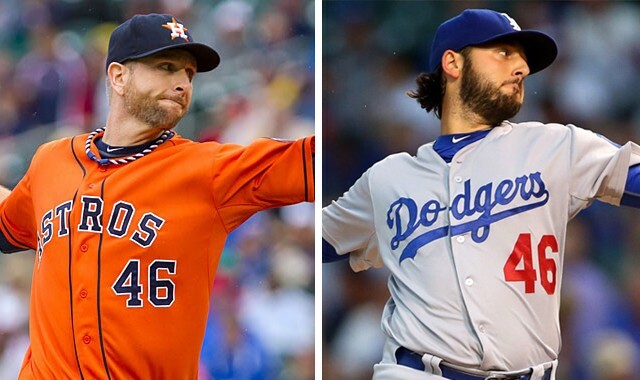 A three-for-one trade, with the established Major Leaguer among those three players. The trade looks like a very good deal for the Toronto Blue Jays here, but I’m not really sure what the Pirates were thinking on this one. It would’ve made more sense if the Blue Jays had sent Drew Hutchison plus prospects for Francisco Liriano. But in fact it was the Bucs sending prospects to the Jays, which kind of blows my mind. Hutchison is by no means done in the Major Leagues, but his opportunities with the Blue Jays had flickered out. 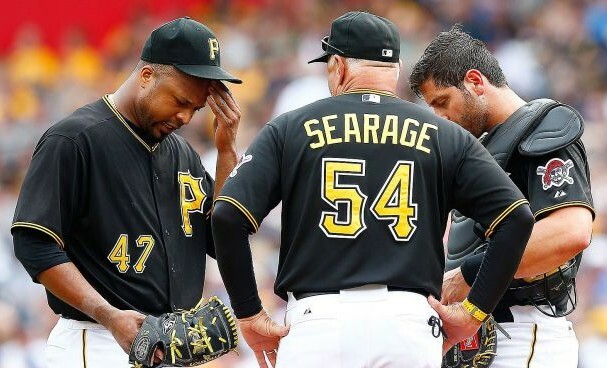 There’s no doubt the Pirates think Ray Searage may be able to work his magic with Hutchison and turn him into the next J.A. Happ or Francisco Liriano. In the meantime, the Blue Jays will get some innings out of Francisco Liriano and then can transition Aaron Sanchez to the bullpen for the remainder of the season. Not to discount the 2016 Blue Jays, but their starting rotation next year doesn’t look so bad either. The projected 2017 starting rotation consists of Aaron Sanchez, Marco Estrada, J.A. Happ, Marcus Stroman and Francisco Liriano. Ross Atkins and Mark Shapiro just got fleeced by the Pittsburgh Pirates. Just watch Drew Hutchison thrive in Pittsburgh like Phil Kessel after he got traded by the Toronto Maple Leafs to the Penguins.